Picking up a a great fairway wood is important for it’s the most important golf club in a golfer’s arsenal. Fairway Woods have been quite popular but since the introduction of hybrid clubs, the usage has been on decline. Often used in the Fairways as an alternative to drivers or long irons. fairway woods are also refereed to as a 3 wood or a 4 wood. The woods get their name from the fact that their club heads used to be made from wood, but in more modern times they have been replaced with lightweight metals like graphite used in drivers. The main difference between a fairway wood and a driver is the decreased height of the shaft and the smaller head of the driver. Over the past few years, no one has put more time into the design of their woods than Callaway. From Big Berthas to X Hots, they have produced a wide range of options to meet all golfers’ needs. The XR has now arrived to take the place of the X Hot, claiming to give more speed than any club prior. 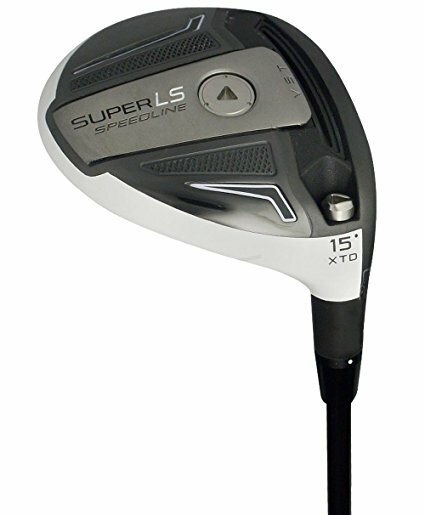 The Adams Golf super LS wood has been designed to have a titanium crown and face which are welded onto a stainless steel sole. This makes the LS extremely hot with shots off the face, giving a spring effect which is near to the USGA’s legal limit, but it does have a low center of gravity which Adams claim gives a 20% higher ball launch than on their previous models. Taking a look at the LS wood you can see that it has a thinner face from the back end, this helps to give it a more sleek and fast pace look. The matte finish which is featured on the crown helps to remove any reflection of light which will impede your swing. The LS has subtle gray and white colors which provide a good contrast between the club and the green. The LS supports the Slot technology which has been developed by Adams to give a good amount of distance on the ball. The way the slot technology works is by having slots located on the crown and sole which helps to act as a spring mechanism. Not only do these slots help to increase the distance that the ball travels but it also helps with giving a better forgiveness on off-center hits. Looking at the crown, you can see that these slots are longer, thinner and deeper than seen on previous generations, which help to give the club a cleaner and more sophisticated look. Looking at the performance of the LS model, you can tell straight away that this wood is hugely forgiving and the speed it provides is beyond anything we have seen. The height of these woods is also a great thing as it helps to make the woods more playable whilst in the fairway as well as helping to provide extra distance when needed. The main materials used in the Adams Golf Super LS Wood is titanium and stainless steel. The titanium is used for the crown and face, whilst being welded to a stainless steel body. This helps to give the club an overall lightweight feel, helping to get the most amount of power out of your swing and the spring action that is given by the titanium metal helps to provide extra distance within your shots. 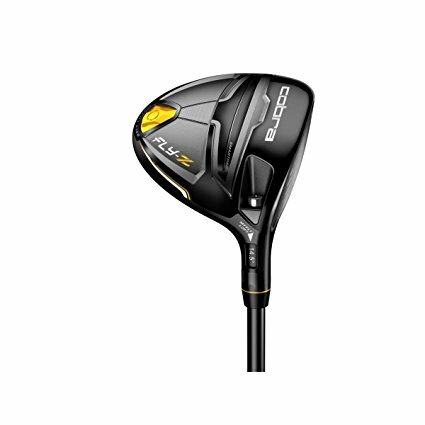 The main thing any golfer wants from a club is that it feels comfortable whilst in use and this Adams Speedline Super LS wood is clearly a winner as it has been designed to make itself one of the most comfortable clubs available in the market. With a sensible grip and low center of gravity, it allows for a unique but comfortable feel when it comes to your swing. This tying in with the spring like feel, it really does feel like a great golf club to be using. Adams golf has spent a good time and effort in making the club as adjustable and user-friendly as possible. With a choice of either 13, 15 or 18-degree models and the heads being paired with a lightweight 70g Mitsubishi Kuro Kage shaft, it really is a great partnership. The slots which are visible on the crown help to give the ball a higher launch, which really does make it soar. Spring effect helps to give more distance and improve the performance even on off-center shots. There is a 2-degree adjustable head and the titanium metal used on the crown and face give a high amount of ball speed. The high price tag of the Adams golf super LS wood may discourage many golfers. During testing, it was more prone to ballooning. Until you have used this fairway wood in your own hands it can be difficult to explain the exactly the feel and how the spring action head works. But, you can instantly see the difference the club makes to your game and should be considered for anyone who is looking to get extra distance out of their woods. Overall, the wood is extremely forgiving and gives a great amount of speed to the ball. The Cobra Fly-Z fairway wood has a new face which Cobra says expands the sweet spot by up to 20%. As well as this new face, they have added in a speed channel around the edge of the face. There are two benefits to these, which are allowing the face to flex more and it helps to save weight around the face which can be moved to what they call the Cobra CG Zone. Taking a look at the sole of the club you can see it is an irregular shape, but it is highly recognizable as the Cobra King style. The see-through portal which is located at the center of the sole helps to move the center of gravity at the head. Looking at the solid black finish, it gives a sleek and professional look. The Cobra Fly-Z Fairway Wood is definitely offering a lot in the way of technology to the golfer. The spaceport allows for a low center of gravity within the head, increasing the moment of inertia which gives a great amount of forgiveness whether you’re teeing off or hitting from the fairway. The Speed Channel as Cobra call it, gives a trench around the clubface’s perimeter which lessens the thickness of the face which helps to increase the ball speed from impact. If you don’t have a huge amount of confidence when hitting with a fairway wood, then this club will help you to gain that confidence thanks to its forgiveness. The Fly-Z is definitely one of the longest woods we have tested in a long time. The spaceport is one of the main reasons that there is a feeling of lower and deeper center of gravity, helping to increase the moment of inertia helping to give a great mid launch. Work ability is the number one factor when looking into best fairway woods, and the Cobra Fly-Z is incredibly powerful and it can carry you a long way up the course. There is also enough movement in right to left or left to right to help shape your shots which is ideal. The shaft is made from graphite which gives it a lightweight feel especially when it comes to your swing, because of the lightweight nature of graphite the club will help you to get your power down and into the ball and it doesn’t add much weight to your lightweight golf bag storage. With the perimeter edge around the face, this will help the ball speed increase hugely on impact. 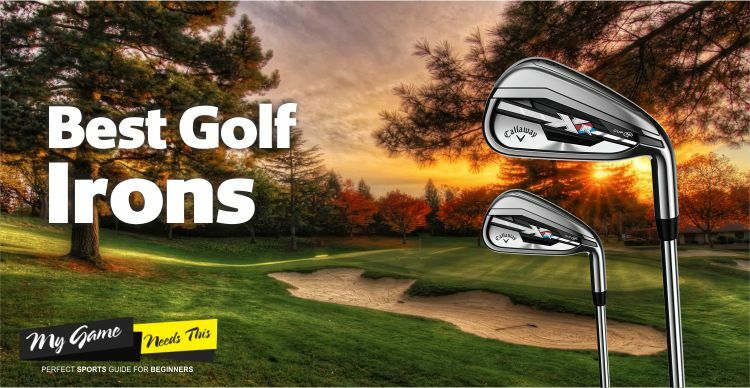 The confidence that this club gives you is unbelievable, it definitely has the look of a professional club and will help you make sure that you have the confidence to hit any shot whether you’re teeing off or are on the fairway. Having added in features which help to improve the forgiveness of the club, even off-center hits will still fly straight down to the green. This club has been designed to help keep your focus on the game, with the anxiety of hitting a shot perfect each and every time. Playability – The Cobra Fly-Z produces a low but consistent flight with a great run out. Going through several testing stages, we found that it was easy work for both left and right shots. Distance – Many players feel that this club gives a huge amount of power when teeing off. But, others don’t really see the increase speed results but hugely appreciate the forgiveness. Look – The look of the head with a contrasting face helps to give better alignment when it comes to shots. This club is not for those people who are looking for a high ball flight. Is very restrictive and best suited to for professional or more advanced players. High handicappers may struggle from rough or uneven lines. The overall aesthetics of the club gives you a big boost in confidence for the club and ideally, it should help improve your performance. With the heavier head design, you will definitely feel the weight in the swing and be able to hit with more accuracy, helping to improve consistency and ball flight. When it comes to the style of the XR you can tell that it is forgiving and almost looks like it is going to be an easy hitting wood. With a larger footprint than seen in prior models and a matte black crown, these all help to give you confidence in the club. 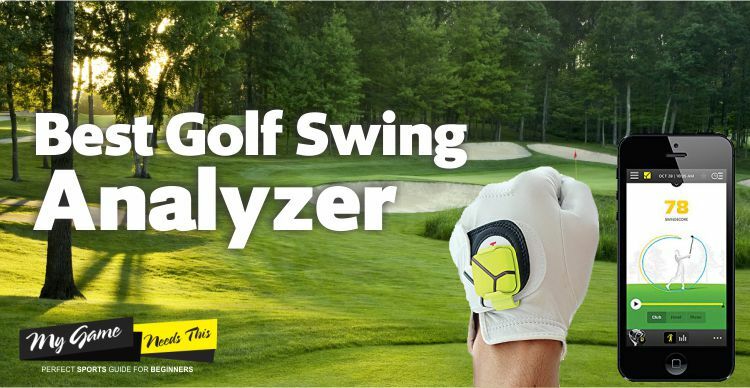 It has been specifically designed for those golfers who struggle with elevating their shots off the fairway. The design also helps to provide a good amount of ball speed on impact, increasing the distance that you can send the ball when hitting from the fairway. 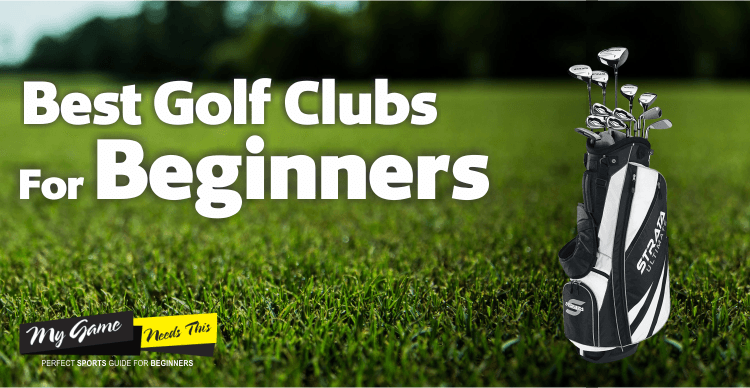 There are a number of features which are in this club to help every type of golfer. The main thing being that the club is lightweight, but not only in the shaft but all the way throughout the club. The sound created from impact with the ball is soft and quiet. The best way to describe the sound is like a metallic crack. The Face Cup as Callaway call it, wraps around the club and the new XR has been revised so that it is up to 36% thinner in areas. This piece of club technology helps to increase the CT/Speed of the face, going from 240 to 246 which is almost the same amount as most drivers. With a longer than average length of 43.5 inches and ultra-light shaft, you can tell that this club has been designed with head speed and overall ball distance in mind. But, this is not the only thing they are offering, they have managed to lower the center of gravity by 20% compared with the X2 Hot. This lowered center of gravity offers 200 RPM less of spin which is ideal for keeping the ball going straight. As we have mentioned in other club reviews, making sure that you are comfortable whilst using your club. This best callaway fairway wood ensures that you are getting the best out of the technology that has been placed into it, not to mention increasing your shot consistency. With the amount of forgiveness this club supplies, you can be extremely confident in being able to hit consistent and straight shots. The shallow face helps to launch the ball easily. Overall the club offers a more compact head size/shape and gives more fade bias. The clubs are long and extremely forgiving, great for those beginner and amateur golfers. Many people don’t like the fact that it isn’t adjustable. Normal ball flight was low for some people. Some people would prefer a softer vibration on impact. Golfers have said that it does take a long time to get used to. 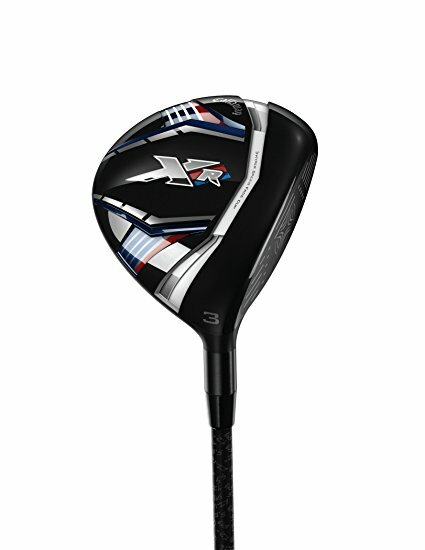 For stronger golfers this would definitely be ideal, the XR delivers a powerful flight and consistent shots. You can use the XR to tee off or on the fairway and have a great amount of results. It is a strong wood that offers something different than some of the other clubs from Callaway. The long shaft helps to give a great swing and the XR club is just as easy to hit with similar to all the other clubs in the Callaway range. If you are looking for more speed and loft whilst out on the fairway, then this is definitely a club you should take into account. TaylorMade have produced the AeroBurner to replace their previous model the Jetspeed Fairway. With the Aeroburner R15 being aimed at players who are more experienced and are looking to have a low, forward center of gravity. Not only this but golfers who also want more forgiveness and increased ball speed. When the R15 was created, TaylorMade brought something new to the market, it has the first sliding weight track available on a fairway wood. The 25-gram weight which is available to slide can be positioned either closer to the heel or the toe depending on the bias you want. When it comes to the looks of the AeroBurner, it is just as compact as other models, which means it’s not too bulky but not too small either. The R15 does feel weighted and more like a mallet type club. The overall look is simple and clean, helping to prevent unwanted distractions. The white crown contrasts well with the green and with a matte finish it prevents the reflection from the sun. 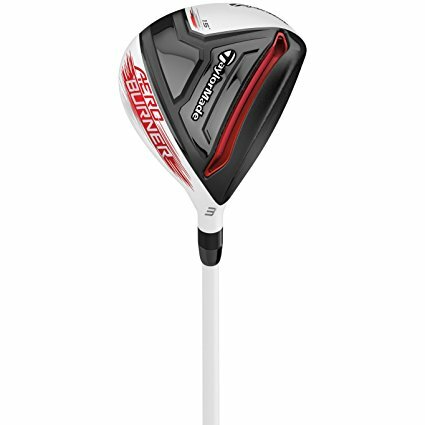 It is a slimmed down version of TaylorMade’s driver which is one of their best selling clubs. The technology inside the R15 Aeroburner has been designed for all types of golfers to use this club. TaylorMade has produced a club that is lighter, faster and more forgiving than most others on the market currently. While the Aeroburner isn’t adjustable, there is two types of technology used that is definitely worth mentioning. Those are Speed Pocket and Thru-Slot Technology, these help to create a large sweet spot which TaylorMade have said are a lot bigger than their other fairway woods. The crown of the club head is raised up and has a fin hosel which help to make the overall club more aerodynamic. This helps to make this wood their fastest out there currently. Striking the ball, the AeroBurner has a good balance of both distance and versatility when teeing off. The overall length of the club is long, but we found that we got 1mph more club speed and managed to hit the ball a few yards further also. There is a small problem we found, which was the fact that the opening on the club head collected a lot of dirt whilst we were playing. So it is important to clean the club after each shot, that way you can prevent rust, as well as further damage to the club. The material the club uses is a graphite shaft, this helps to give a lightweight feel, helping you to get a more powerful swing from the club. This also increase your ball speed. With the adjustable weight on the head, you can change the bias to your personal preference. Having a lightweight feel down the shaft with a weighted head certainly, helps to make this club feel comfortable. The feel of this club gives the traditional fairway wood feel, so moving from your current club to this one should not be a problem. Performs well in a number of situations. From sand to tight lies. Shots are still straight even on off-center hits. Has a professional and sleek look. Not as much forgiveness as many people were expecting. Many people noticed slower swing speeds when using this club. Many people are not fans of the white head and white shaft. This is quite possibly one of the best fairway woods on the market today, having seen a number of professionals use it on tour. The feel of the club is natural and traditional, especially when it came to impact with the ball, as well as the sound. Many people don’t like the high price point, but in our opinion, we believe it is one of the best quality golf fairway woods out there. 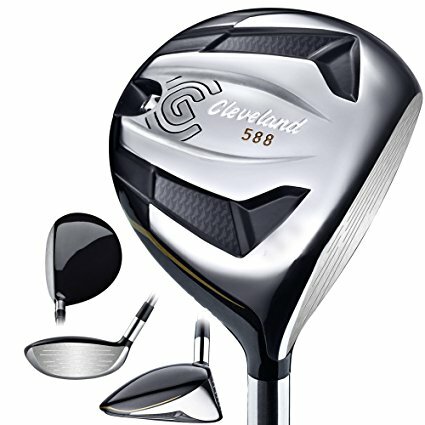 The Cleveland Golf 588 Fairway Wood is a fixed hosel club. It is available in 4 loft types, these are 14, 15.5, 18 and 20.5 degrees. The 14 and 20.5 degrees are made for right handed golfers only, whilst the 15.5 and 18-degree heads are produced in both left and right hand. The overall look of this club is clean, this is down to the fact that there is no distracting lines or geometric figures within the view when taking a shot. There are a small number of manufacturers who are still making basic black clubs. There are a few who are starting to make their way back to producing these types of clubs however, Cleveland never left. The face is extremely forgiving and has a soft impact which helps to enhance the sensation when the face hits the ball. The shape of the club head is like a half moon and with a black crown, it helps to accent the trailing edge. The Cleveland Golf 588 Fairway wood is by far the longest they have produced, combining both power and forgiveness into a design which provides a good amount of versatility. The face, sole and crown dimensions help to provide a clean overall look. The wood has a rear sole plug and the advanced wall construction helps to give a better launch on hit. When it comes to measuring performance there are two types, launch monitor testing, and real-course testing. There is an obvious difference between these two types, mainly being that you can hit a club indoors but struggle when it comes to using it when hitting off a tee or deck. The overall feel of the club is great and you can definitely have confidence in the forgiveness of it. The materials used within the Cleveland Golf 588 wood, help to create a large sweet spot and give a great amount of forgiveness on off-center hits. A graphite shaft helps to give the club lightweight swing with a varied thickness face helps to improve the speed of the ball. When you purchase a wood you want to be sure that it feels comfortable when in use. When we tested the club we liked the sweet, traditional impact when hitting the ball, with a small amount of twisting through the ball. If you are looking to raise your loft then this club is ideal for you. With the 43.5” shaft, it is one of the longest available, but it still maintains a great feel. Launch the ball with minimal amounts of effort. Works great even when in the rough. Higher skilled players can turn over shots with minimal effort. Forgiveness – There are a number of things Cleveland golf has done to ensure the club is accurate on mishits and off-center hits remain on course/in a straight line. Mishits still go a fair distance. Many people have claimed that they lost distance when using this club. There is a hard draw bias for hard swingers. Can be difficult to hit the ball cleanly. We feel that there has been a good amount of research put into this wood to make it the ideal club for any golfer. This club has a good amount of forgiveness which means that you can hit clean shots all day without then being centered to the face. We found that nothing distracted us whilst using this club which helped to focus on the game. 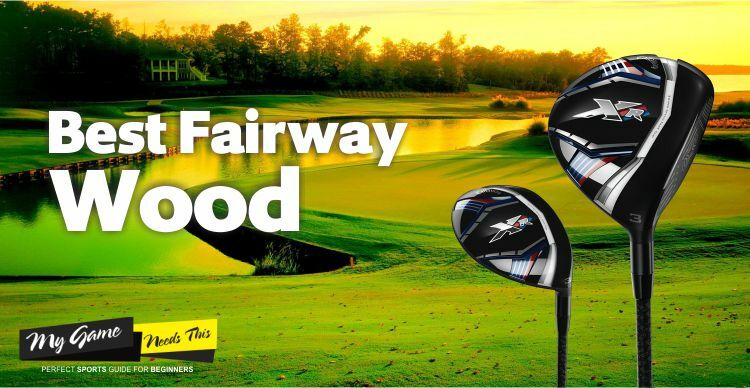 There are a number of factors that we believe make up the best fairway wood and we believe that we have come up with the best way to rank them. We have gone through a huge range of woods which are available currently on the market, using our scoring system to pick out only the best few we believe to be worth your time. We selected clubs which were a wide range in terms of handicaps and different lengths, club weight and much more. All of the factors we measured makes us believe that we have come up with the best few clubs which you can purchase right now. When Should You Use These Golf Woods? Of course, the title fairway woods gives a good indication of where you should be putting these woods to use, on the fairway. But many people don’t know when exactly they should be using them whilst they are on the fairway and which number to use. Ideally, if the end hole is around 450 yards from the tee off point to the green then you would use a wood over a driver to hit to the green. This means that you won’t over hit the ball and end up either in the roof or out of bounds. It is recommended to use a wood if you are more than 175 yards away from the green. Should I Get A Fairway Wood Or A Hybrid? One of the problems that many golfers face is the decision of whether to purchase a fairway wood or hybrid. Both clubs have a very unique role to play when it comes to your game on the course, sometimes their functions will overlap and it is important that you need to choose something which will give you the most benefits and improve your performance easily. There is a great amount of choice to select when it comes to both woods and hybrids. It all comes down to the golfer’s personal preference and what they are looking to get out of their club set. What To Look For In The Best Rated Fairway Wood? When purchasing any kind of golf club it is always a good idea to take into account your handicap level. This will help to determine your performance and experience that you will get out of the club your purchase. The highest handicappers would be best with a club which allowed for more loft usually around a wood 3, this will allow for a more solid hit. Mid and low-level handicappers will want to go with a club that has a lower loft, but it is important that a club is selected to make shots from the fairway easy and comfortable. Lengths of fairway woods greatly depend on the manufacturer and is still definitely something that should be taken into account when looking to buy a wood. When it comes to fairway woods the higher the number the shorter it tends to be. The 3 wood would be around 42-43 inches and a 5 wood will be around 41-42 inches and the 7 wood is around 40-41 inches in length. If you don’t have the budget to purchase more than 1 fairway wood then it would be best to select one which is appropriate to your handicap. The head design is by far the most important part of any fairway wood club head. This being the main part where the ball comes into contact with the club, making it the most important piece of any fairway wood. The overall shape and size of the club head will have a big impact on how the wood plays. The broader the face of the club the more efficient it will be from teeing off but, the more shallow the face, hitting the balls out in the fairway will be much easier. There is also the ability to have a flat bottom edge, this will allow you to strike the ball cleanly from tight positions. When it comes to the head size of a fairway wood, they are usually a similar size to drivers. But, there are many different variations produced by manufacturers which give the club different properties. If you find yourself with a shallower design you will find that there is a high amount of loft. With a much deeper head, you will find that it will keep the ball on a lower flight path. Although not as common in drivers, some manufacturers are going down the route of adding adjustability into their fairway woods, which allows the player to adjust their ability to customize the club to get a better swing and change settings under the conditions. There are a number of different ways that these fairway woods can be adjusted, mainly 3 different aspects. As many people are aware, the loft decides how far and high the ball will travel. In technical terms, this is known as the trajectory. It is a good idea to purchase a fairway wood that has an adjustable loft, these days most fairway woods come with an adjustable hosel so you won’t need to worry about looking for a specific type of club to be loft adjustable. The ideal amount of loft a good fairway wood should supply is around 5 degrees. When changing the loft of the wood it will also change the lie which is the angle of the shaft to the ground at address. Changing the lie will also have an impact on the horizontal flight of your shot and ball flight. Some of the adjustable hosels will allow for you to change the angle of loft without affecting the lie angle, which is something you should look out for when you are coming to purchase your fairway wood. Adjustable clubs are made to allow for a more optimized ball flight and overall performance so it would be best to pick a loft and lie which will allow for you to get exactly what you want from your fairway wood. Another aspect which can be adjusted on many clubs is the face angle. This is the angle of the face at address. A square face angle will sit perpendicular to the target with an open clubface facing away from the player, with a closed clubface being faced towards the player. An open clubface will decrease the loft from a shot whilst having a closed face will increase it. Face angle is down to personal preference but it should be noted that it will have an impact on the balls flight. A closed club face may help those players who tend to slice their shots whilst an open face will help those players who have a tendency to hook the ball. Although these are less common in woods, there are many manufacturers who offer clubs which have weighted screws or as they are also known moveable weights. This will help to manipulate the weight and where it is placed at the club head, which in turn will have a bigger influence on the flight of the ball. These weights are only adjustable as part of a custom fit process rather than by the actual golfer, so it is important to check it is possible to fine tune with the manufacturer before purchase. One of the most common materials used is steel and this is due to the durability it provides. Many of the fairway woods currently on the market will have their heads constructed with steel due to the head being smaller than what is required in a driver. Steel gives a strong yet forgiving element which helps with those who have a harder time hitting centered shots. It being an inexpensive metal helps to reduce the overall price of the club as well as being easily manufactured in a smaller head. The second most common material used in fairway woods is titanium. This is mainly down the lightweight nature it offers and makes it ideal to be used as the material on the face of fairway woods. It is common that titanium is reserved for those heads that are slightly larger. Titanium is becoming more and more common amongst manufacturers due to its lightweight and tensile properties. Thanks to the lightweight properties of the material is means that the face can be thinner than other materials which helps to reduce weight and decrease the center of gravity. This helps to improve the forgiveness of the club making it great all round, even on off-center hits. There is only one small downside to using titanium in the club and this is the price tag, putting these fairway woods at the top of anyone’s budget. There are a small amount of composite material woods making their way into the marketplace, which lighter materials like carbon being placed on the crown or at the rear of the club head which allows for manufacturers to lower the overall weight of the head and around the perimeter. This helps to make the club on par or better for forgiveness than titanium. Some of the models use heavier materials such as tungsten which help to shift the weight into the perimeter helping to increase overall forgiveness. There are a huge amount of positives when it comes to a steel shaft as well as some negatives. With the main benefit of a steel shaft being the high amount of vibrations which go up the shaft to the player’s hands. The more professional and regular golfers prefer this as it gives nice feedback to them. Many players are able to tell exactly what they have done wrong or right by simply feeling these feedback vibrations. A steel shaft tends to be a fair amount heavier than a graphite shaft, this will have an effect on the swing speed and control of the club overall. Graphite shafts are much more lightweight than steel shafts, which result in a better swing speed and overall shot distance. This will be greatly beneficial to any players who have a slower swing tempo. Many golfers are able to increase their distance at least 5 yards with each club. These shafts help make an easier swing for those who have issues with their arms, hands or back as it is less weight to put through the swinging motion. Vibrations on a graphite shaft are usually more muffled on mishits which in turn makes them less stressful on the player’s hands. Having a fairway wood does help to increase your overall accuracy whilst on the course. There are several main reasons for this, mainly being that they are made from steel and are often more forgiving. Often leading to the club hitting straight even when the ball is hit off-center. Ensuring that you have a great amount of accuracy will help you in difficult spots and also will make sure that you can hit straight even on the fairway. Having a fairway wood with a weighted head and lighter shaft also means that you are able to get a better and more accurate swing. One positive benefit of using a fairway wood is that it can be used in a huge range of different positions and functions. If you are on a smaller course that has the end hold around 450 yards away, you would use your fairway wood to tee off, which would help prevent any overhit and unnecessary power. Whilst on the fairway, these woods will have adjustable hosels which will help with increasing or decreasing the loft. Not to mention many of the woods now come with an adjustable weight setting to help you choose where and how much weight should be in the head. The ability to have a huge amount of control over where the ball is going either left or right. Having the ability in the club to produce a shot like this will help you to play to your strengths as well as getting to the correct position for your next shot. Many fairway woods have a great amount of workability which will help many golfers to manage their shots. Making a decision and being able to execute is a big thing for many golfers. Ensuring that you have a workable fairway wood is definitely not a bad thing. Having a club that has a great look will not only improve your confidence on the course but it will also help to make you look more professional whilst you’re playing. Style is a major factor for many golfers, this is mainly down to personal preferences and the fact that they want a good looking wood. But, it is important that you don’t just select a wood based on its appearance alone, although this should be a big factor in the decision-making process. Ensure that you have considered all the other variables and features of woods before selecting one because of the style. What Are The Fairway Wood Degrees? When it comes to explaining the loft degrees for fairway woods it can be difficult. There are two types of woods, first of all, these being strong and standard. A strong wood has a lower loft than the standard wood, even when they are the same number. This means that there is a lower but longer shot when compared with the regular club. Wood sizes also represent their length within a set, a strong wood which a similar loft angle to the club below it, with a similar shaft length will give better control for many players. Given in simple numbers there are woods which have angles as low as 13 degrees ranging right up to 22 degrees. What Mistake To Avoid With Your High Launch Fairway Woods? Many people don’t realize that their overall stance and posture affects how their swing turns out. Usually, people blame this on the balance on their club but for some, it will be less noticeable, the reason being they may have a more forgiving club which makes mistakes less noticeable. It is important that the club head is swept back instead of lifted. In order to avoid this, you should sweep the club head along the ground to help create an extension on your backswing. This will be at the point your natural hip and shoulder turn lifts the club head from the ground instead of your arms doing the lifting. As more hybrids begin to come onto the market, it is important to note that best fairway woods are still hugely relevant. In order to get the most out of them, it is good to make an educated choice and there are a huge number of points throughout this article which will help you to make that decision. However, make sure that you read through other fairway wood reviews before making your final decision. 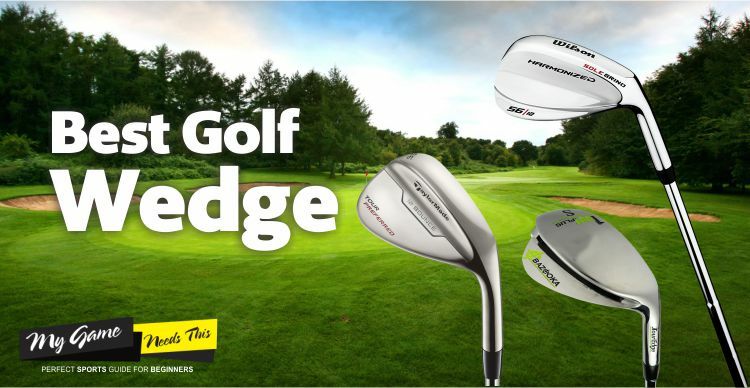 If it is possible you should ensure that you try out the club before purchasing as this will help you to select a club which is best suited to your game style.